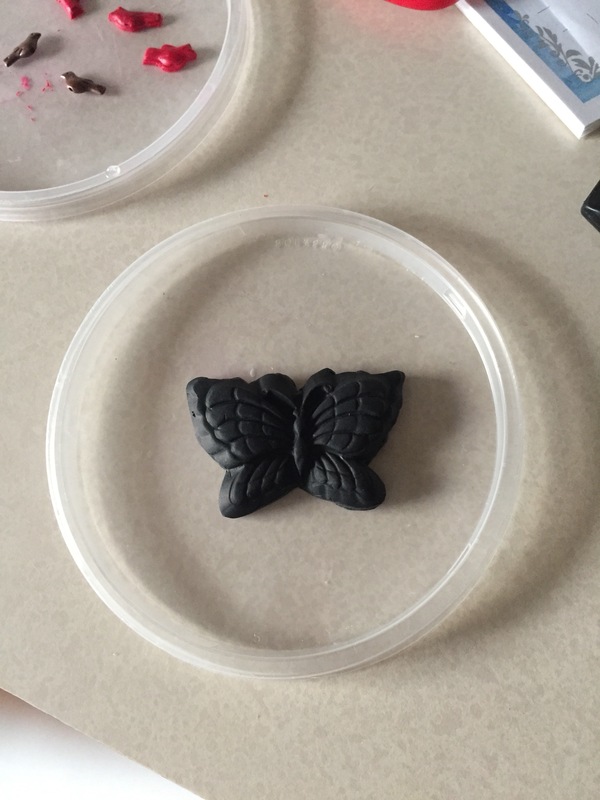 Today’s experiment: Remember the black butterfly I cast in Sculpey Soufflé polymer back in January? 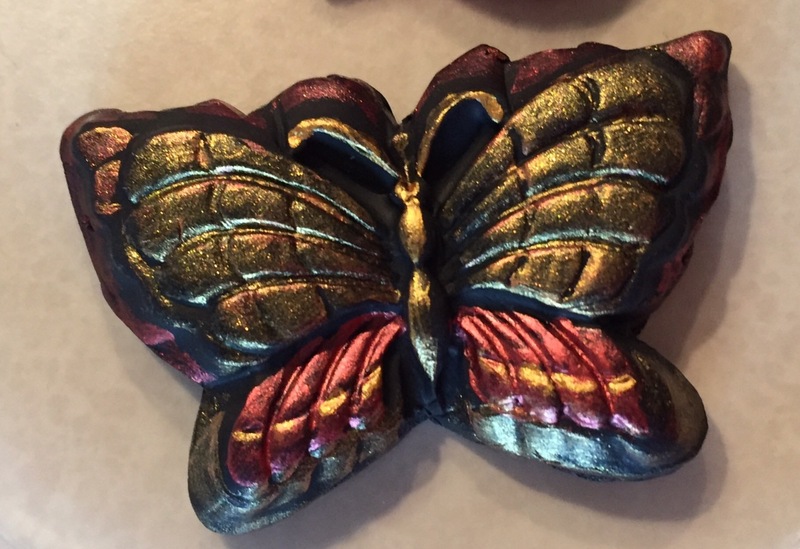 Its been baked, and today I painted it with Lumiere paints. I used a dry paint technique with angled bristle brushes. I used a liner on the body. 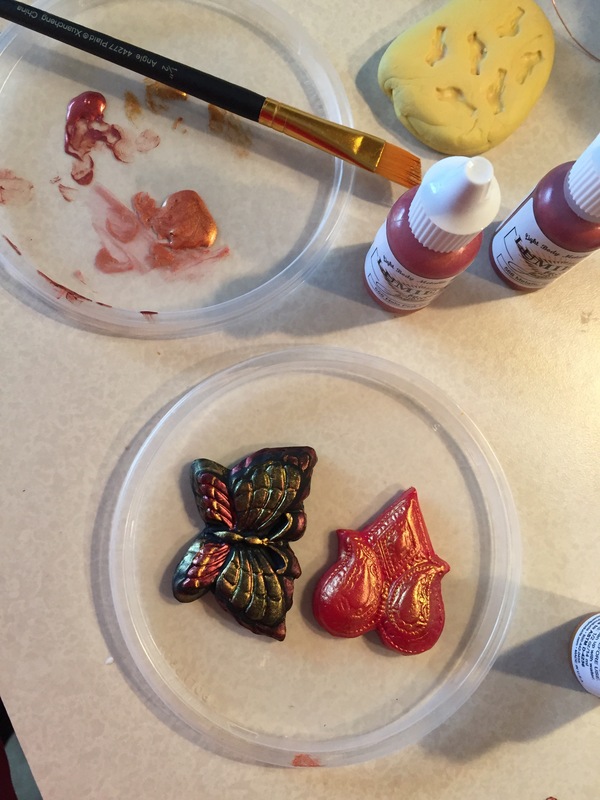 I had lots of paint leftover, so I brushed some gold on a red piece I had molded, cast, and baked. 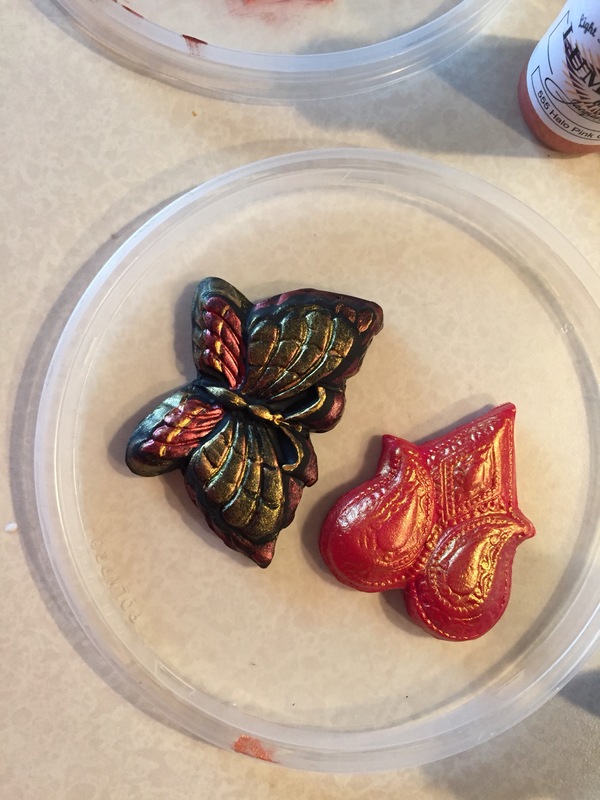 The Lumiere paints have lots of shine, so I think I’ll finish these with a satin glaze. 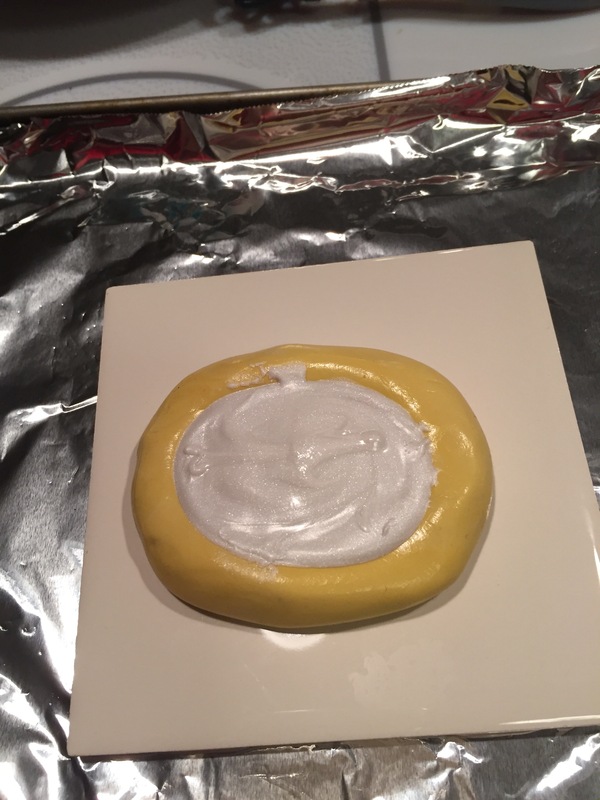 My polymer clay experiment has baked for 24 hours and has still not hardened in the middle. More about this later.